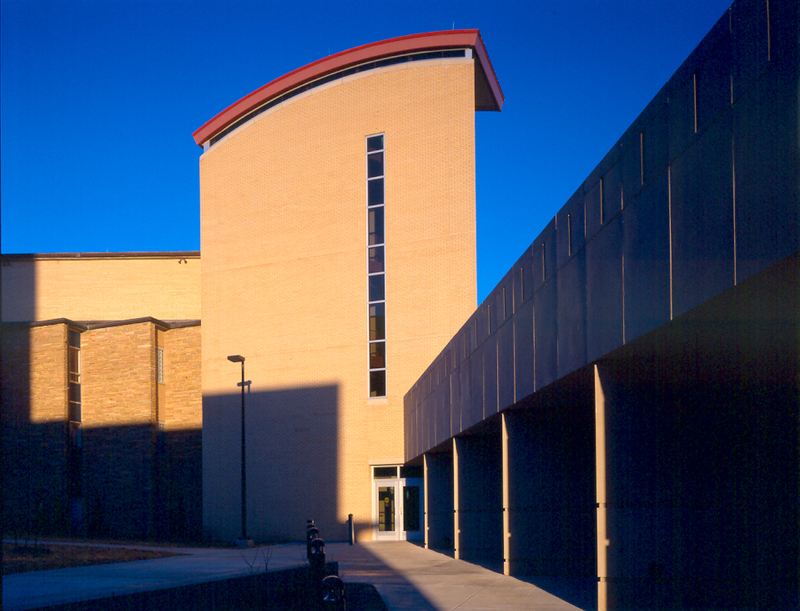 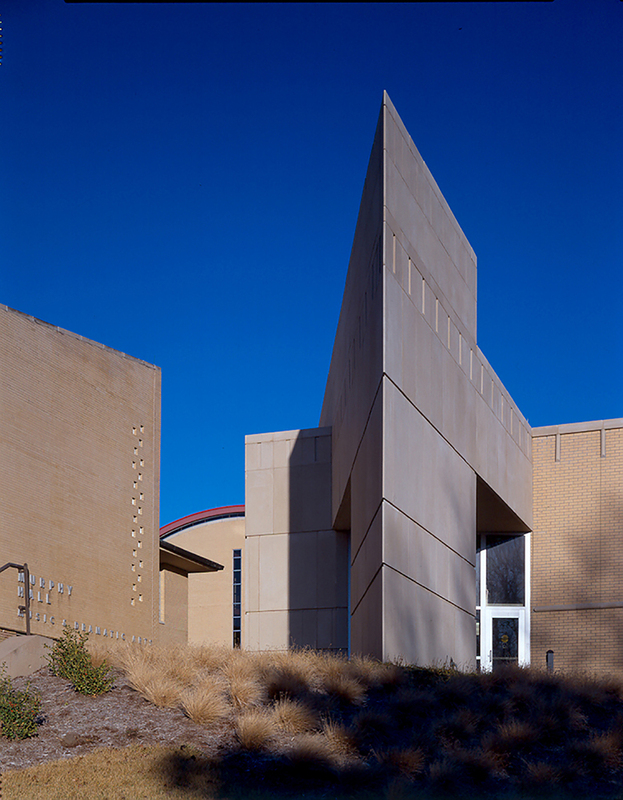 The Department of Music and Dance and the Department of Theater previously shared a building first constructed in 1953, which was quickly outgrown. 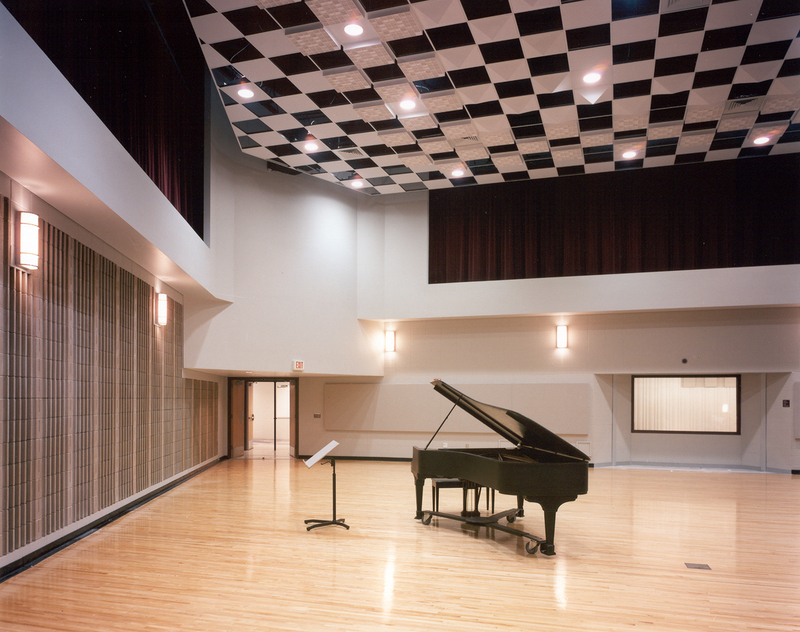 A new wing adds 45,000 square feet of sorely needed space, including a 4,800 SF band rehearsal room, a 2,400 SF intermediate rehearsal room (for chorus and orchestra), a small rehearsal room of 1,000 SF, a separate percussion studio, teaching studios, recording control spaces, other ancillary rooms and a technically sophisticated music library. 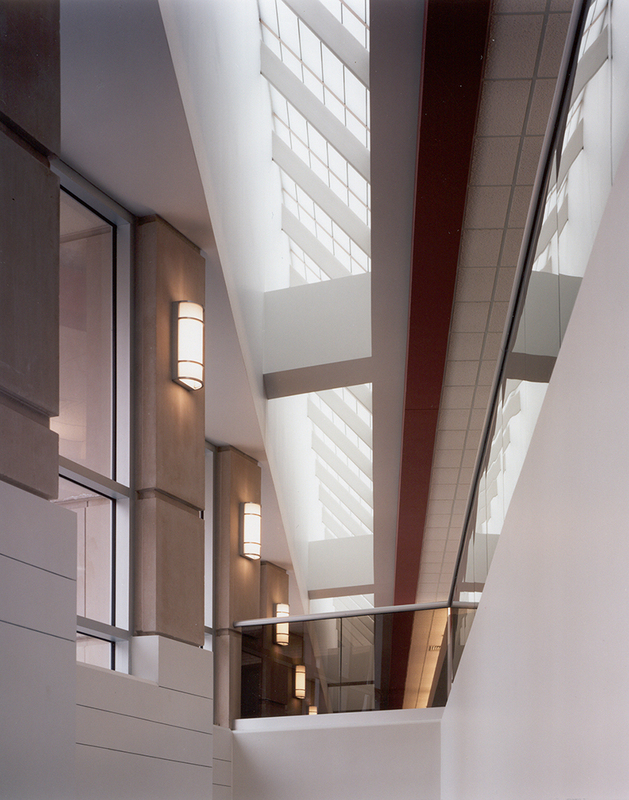 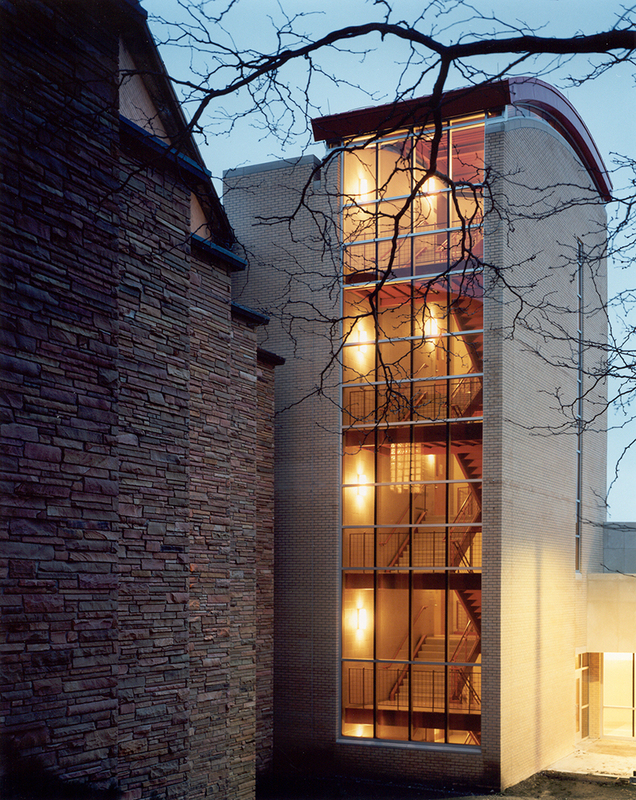 Within the renovated spaces of the existing building, a new opera studio and its support spaces were built as well as a finely crafted space for the research activities of the music education and the music therapy faculty.